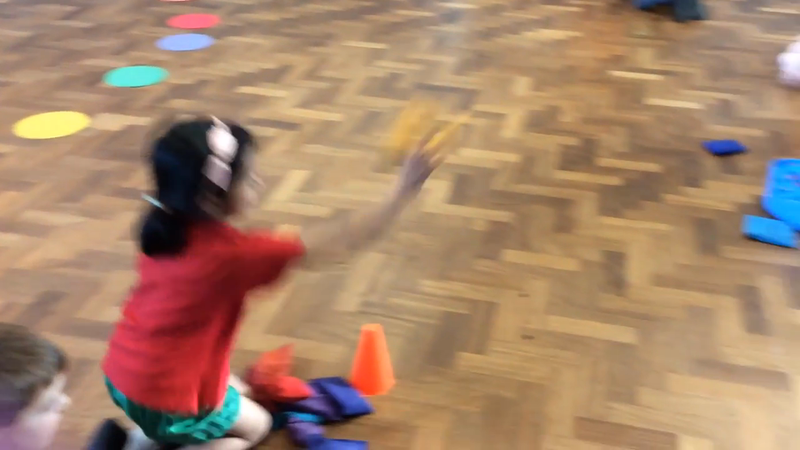 The children have enjoyed celebrating Chinese New Year. We have looked at the story of the animal's race and took part in different role play activities to retell the story. The children have enjoyed making Chinese New Year cards decorating them with blossom trees. Finally the children have tasted some different Chinese foods, including noodles, prawn crackers and soy sauce. We have returned to school after the Christmas break and begun our new topic on Winter. The children have been busy in the classroom helping to change our role play area into a 'Winter Wonderland'. They have completed observational drawings of winter trees using black paper and white chalk, helped to collage some 'winter people' and made snowflakes to hang. The children have had some wonderful ideas about what to include in the area and it is beginning to take shape. In P.E this half term we are looking at dance, beginning with a focus on bubbles. To start, the children observed the shape and movements of the bubbles before putting together their own ideas for movements. This half term we have been looking at the topic of Paw Patrol with Wendy in Stretch -n- Grow. The children have enjoyed talking about the importance of recycling as well as learning about the different muscles in our bodies.